Gym rats, rejoice! 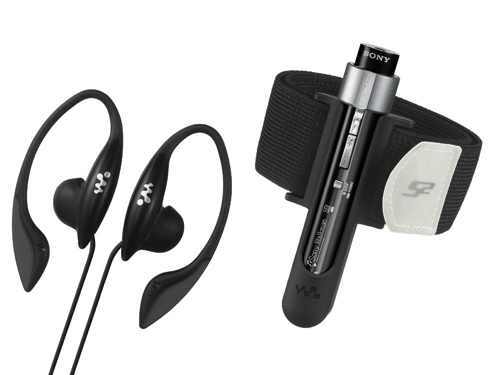 Sony is aiming for the fit set with its latest flash-based S2 Sports Walkman, which will pound out a knee-killing, ligament-pulling workout beat while displaying how many steps you’ve taken, distance traveled, calories burned, etc. The only thing the bloody device won’t warn you of is your impending coronary. Of course the company’s addled addiction to ATRAC remains and, yuck, the S2 even has SonicStage. But you can also play AAC, MP3 and WMA files and you get a decent-ish OEL screen, plus the device doesn’t look like it’ll be too hard to grip by sweaty and tremulous hands. The FM tuner can even dial into the TV programs playing at your gym. The 1GB NW-S203F will cost around $120, and the 2GB NW-S205F will work out at $150 when the players become available at http://www.sonystyle.com in September. Yoshi’s take: I know Sony wants me to be impressed with these, but the only thing I can think is that they look like next-generation TIE fighters. Shows you how much I make it to the gym.